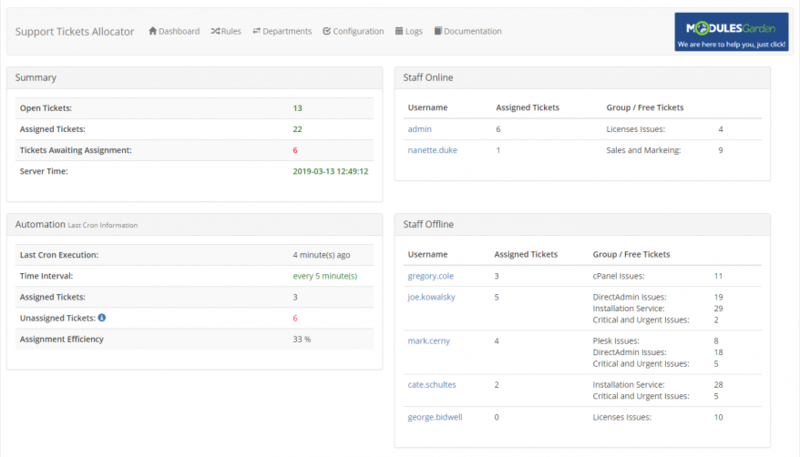 ModulesGarden Support Tickets Allocator For WHMCS is a time-saving module created to automate the process of allocating tickets among departments and admin users in your WHMCS. 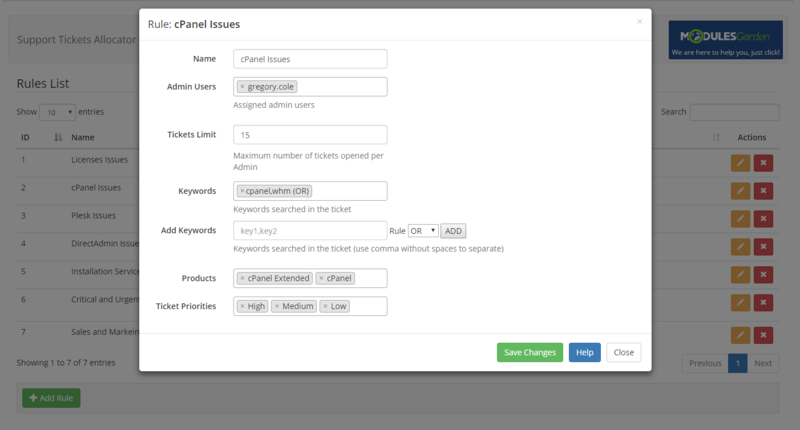 Tickets are automatically assigned to selected staff members with the use of three determinants: keywords, products, and ticket priorities. Moreover, each department can have defined office hours when the allocation is performed. Support tickets can easily balloon to unmanageable proportions. I was so glad to find this module because it simplifies many aspects of the support process. Probably the main reason I bought this was because of the possibility to set maximum time during which staff members shall respond to a ticket, or the ticket will be reassigned to another person. VERY HANDY!